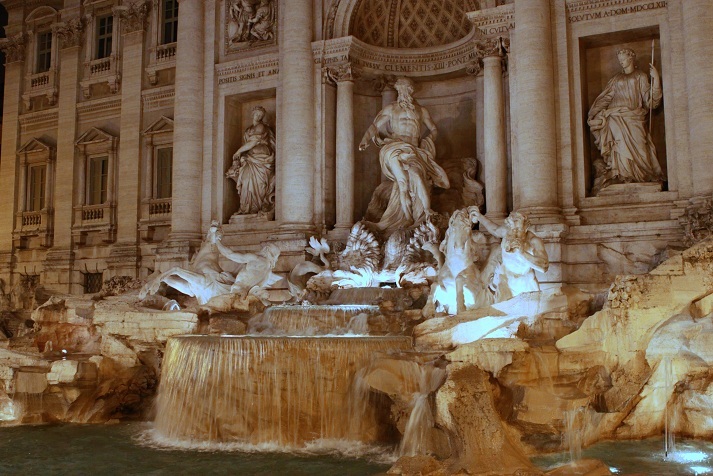 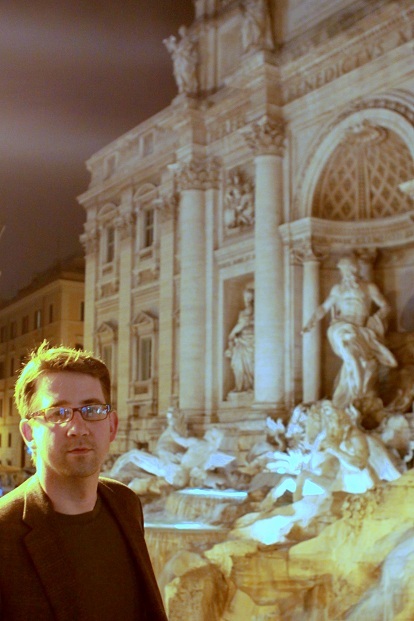 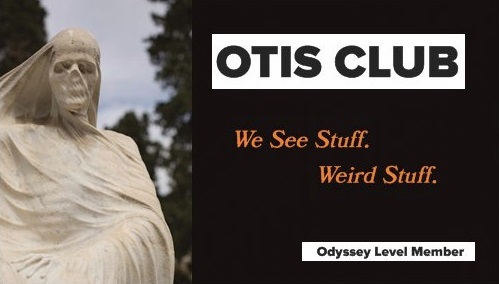 April 23, 2011 — If Rome were the deck of a giant ship, then it would have the most exquisite leaks. 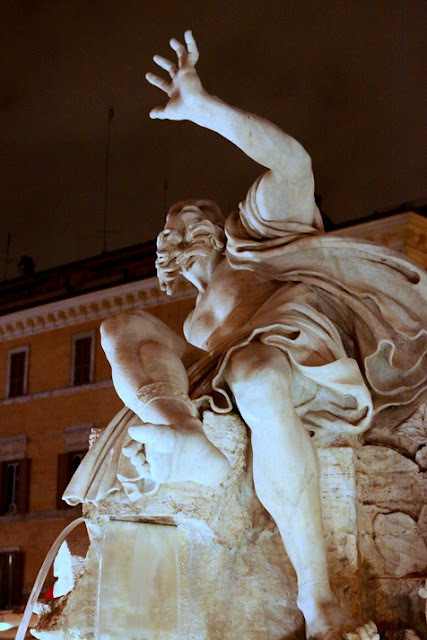 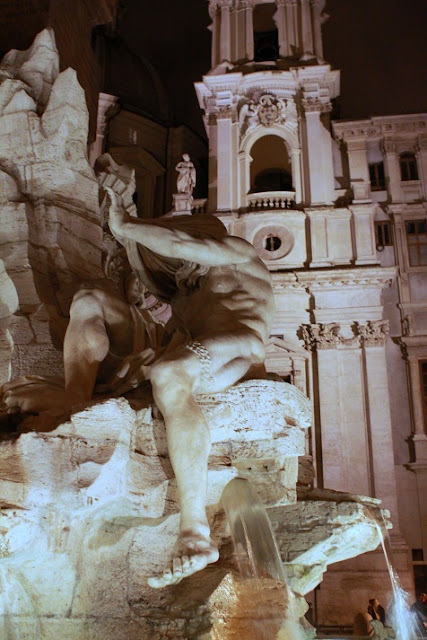 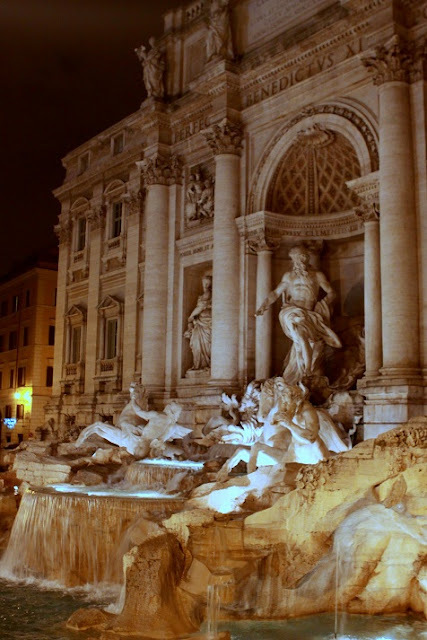 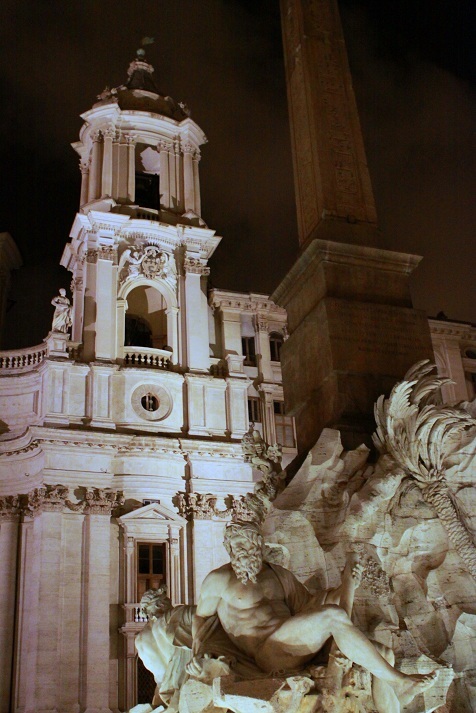 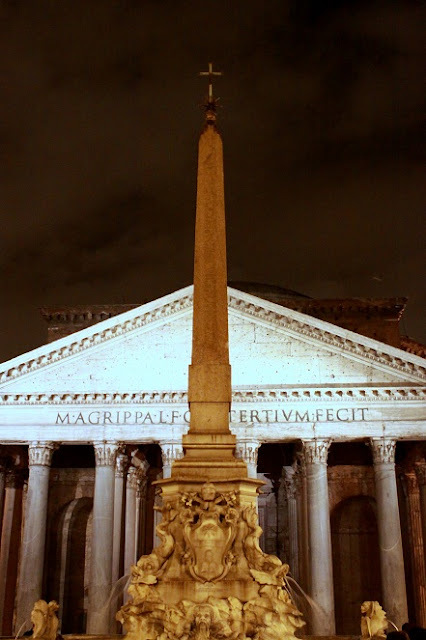 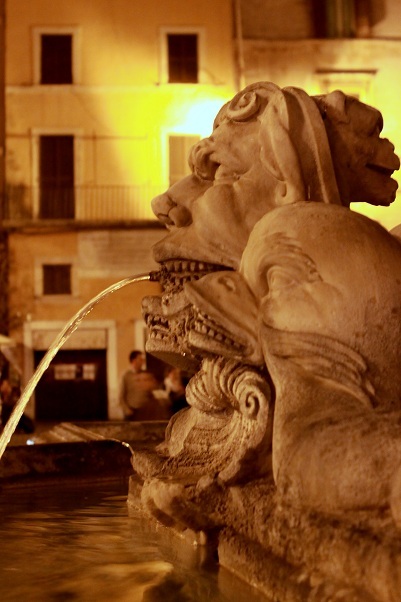 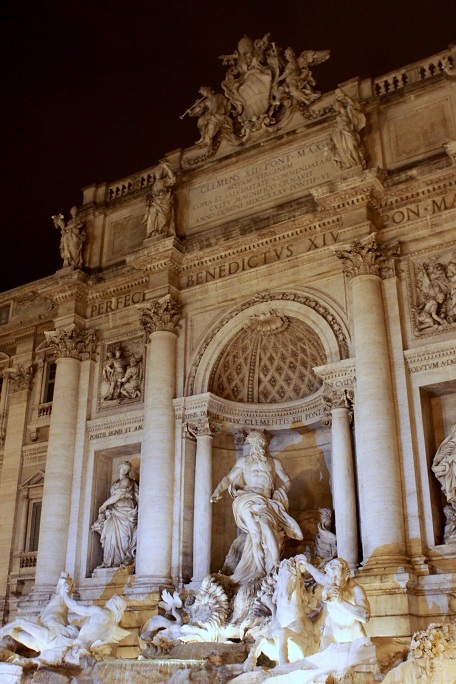 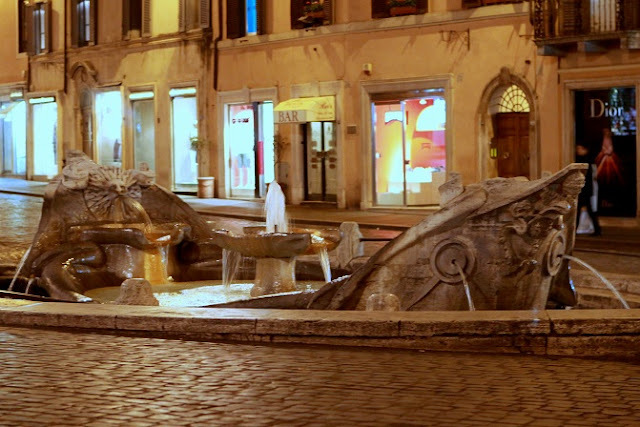 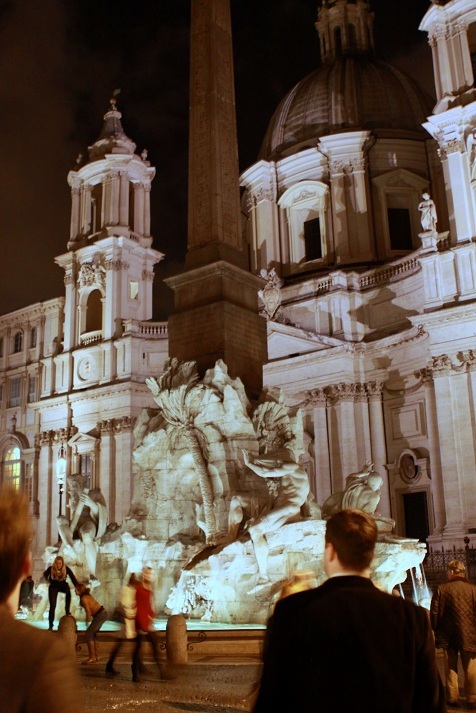 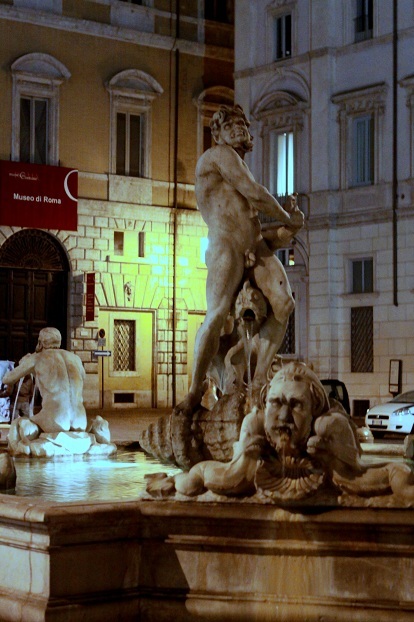 You can see them in the center of just about every one of the city’s piazzas...large, ornate, centuries-old stone fountains that are amazing works of art, history, and mythology. 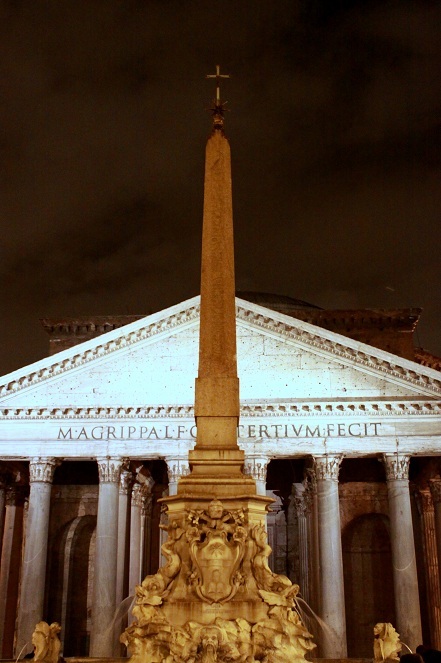 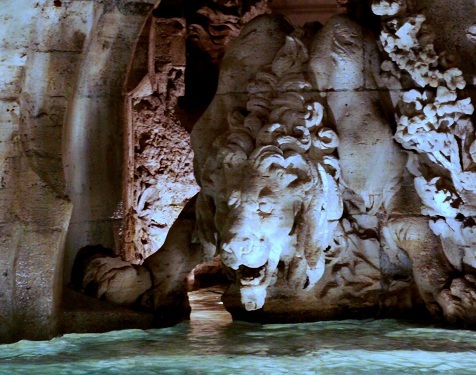 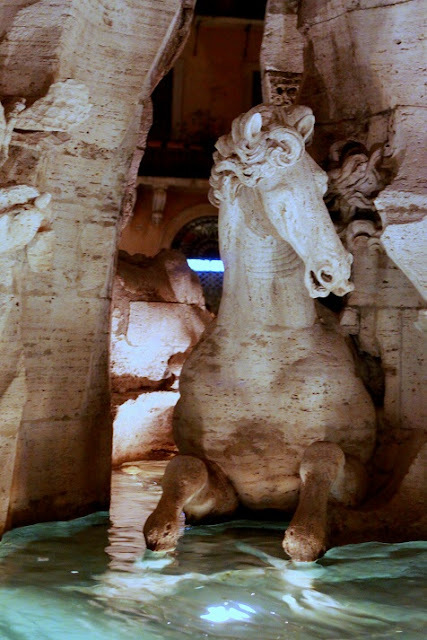 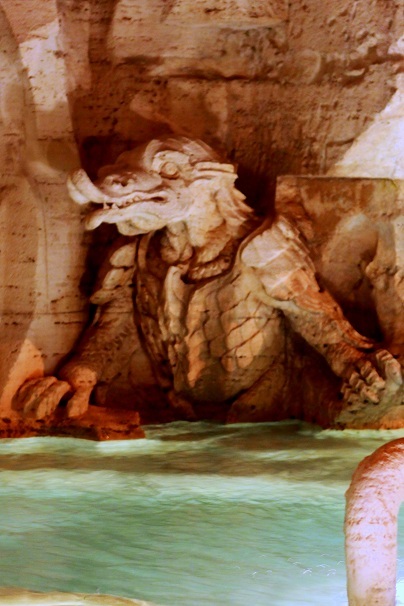 Everywhere we went in the city, people extoled the virtues of Rome’s water, even to the point of one tour guide almost swirlying us in her attempt to convince us to dip into a random open sluice in a dark first-century sub-basement of an ancient church. 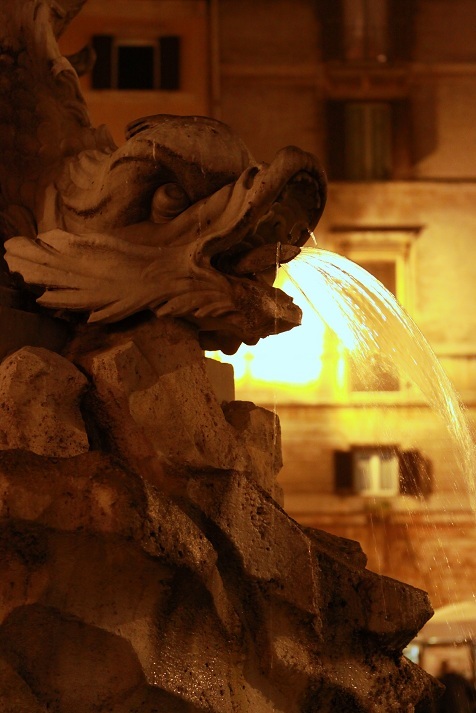 Of course, if your water is awesome enough to drown tourists in, what better way is there to show it off than to have it exhaling from the mouths and horns of gods, monsters, and kings in hundreds of places throughout the city. 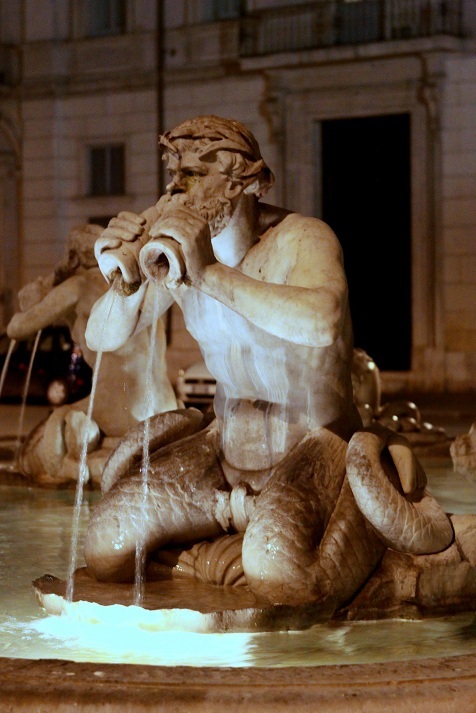 Like just about everything in Rome, many of the fountains should be seen at night, where they are dramatically lit late into the evening and everybody floods the piazzas and gathers around the sculptured water spouts like it’s a giant party...which is cool, because it means all your embarrassing drunk pictures have awesome statues in the background. 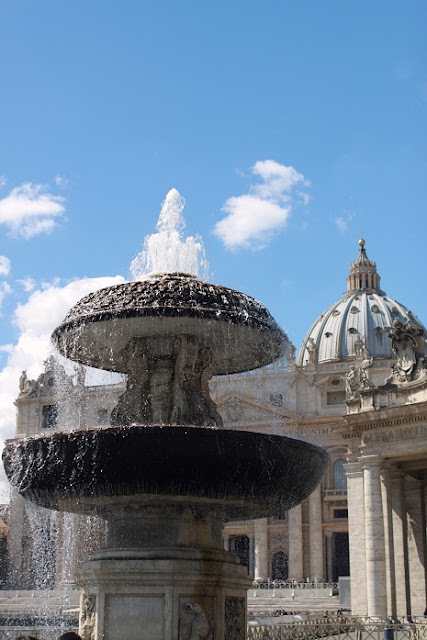 And after seeing the fountains of Rome firsthand, it'll be hard to apply the word fountain to any of the examples I'm used to seeing here in the States. 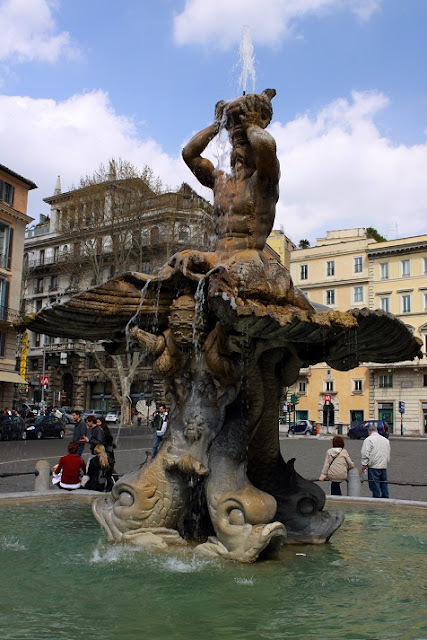 Now they're just bird baths to me.